I’ve often wondered what new readers of Lost Cowboy make of it after looking back over my past posts. I realize I am always going on about my favorite things and sometimes these things may not seem to be similar in any way. Long ago I promised that over time readers of this blog would come to know the Lost Cowboy sensibility or aesthetic – and I hope that is true. If not, keep reading, it just may hit you when you least expect it. 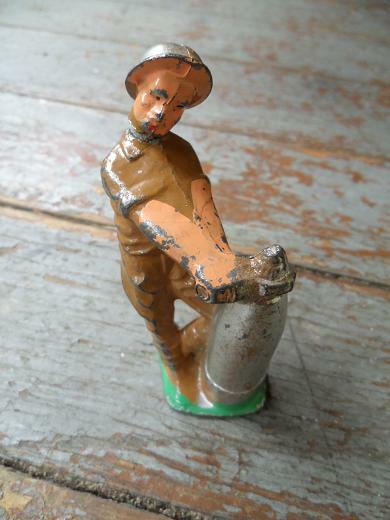 Anyway, one of these things that I love (which I just realized I have not talked about in a while) is salt and everything that goes with it – like salt cellars – which among many other things – I happen to collect. One of the coolest salt cellars I have seen in some time is this Teak Salt Dish and Spoon I found at Brooklyn-based Brook Farm General Store. Described as “a handmade teak salt cellar with matching spoon; with a curved teardrop shape on which to rest the bowl of the spoon,” this would look great on a summer dinner table. 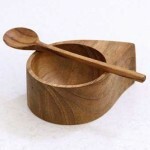 See the Teak Salt Dish and Spoon and all the great products of Brook Farm General Store here. Just in time for summer reading I am back to fiction. 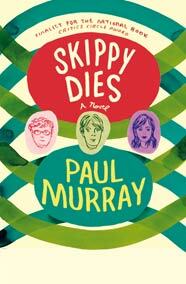 I just finished the very entertaining novel, Skippy Dies by Paul Murray. Skippy Dies is a sort of comedic drama played out in an all boy’s high school. Ok, so this may sound like a hackneyed premise, and sure it has been done before of course, but Mr. Murray creates original characters and a very entertaining narrative. No spoiler alert needed to say that the book’s title character dies. Not only does it happen early in this long story (650+ pages), heck the title gives that away. But quickly the book goes back in time to set up how we got to the point where young Skippy meets his demise. Every step of the way I was entertained. Well, as much as one can be “entertained” by a story that is basically about the death of a teenager. Mr. Murray has a great talent at weaving together his rather complex and ambitious tale. His style is fresh and contemporary which makes the characters and setting truly come alive. I enjoyed this novel very much and I was reminded how much I like reading fiction. I had the same sense of satisfaction reading this book as I have had reading some of the best of my favorites authors like Nick Hornby and John Irving. Heck, as my dear old Nana used to say: “you have to love a novel who has a major character named “Ruprecht”. Skippy Dies by Paul Murray can be found on Amazon and at other fine retailers. 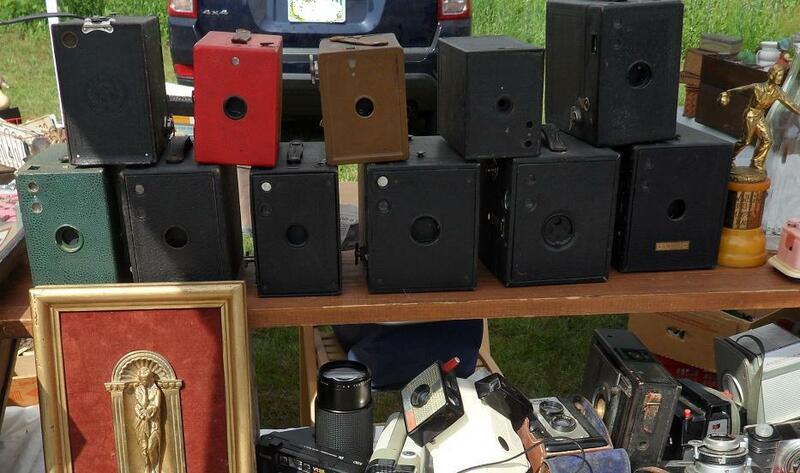 We had a great time this past Sunday at Todd Farm, the wonderful Antique flea market in Rowley, MA. We were there for the first time this season to share our eclectic mix of vintage goods mostly curated out of my mother’s vast sewing collectible collection and the barn here in NH. The weather was perfect and it was great to see so many of our regular visitors from last year stop by to say hi and see what’s new. We were also thrilled to have surprise visits from friends and family – even a favorite puppy friend. Thanks to everyone – old and new – who came out to see us. Once again, Mom’s buttons were the big draw and we sold a ton of them to appreciative customers. Also a big hit were the many cameras I had collected over the winter from various auctions. I brought 20 or so old box cameras (below) and sold several of them. I also had various vintage 35mm cameras which drew great interest from the 20-something crowd, which made me happy and hopeful for the future of our culture. We will be back to Todd Farm a few more times this season – so keep posted here for details. Or “friend” us on Facebook to ensure you receive all the updates. Also this season, we will be doing our first ever art shows – where we will share our photography, vintage-inspired original art and carefully curated “found” art works. Stay tuned for complete details here as well. We really are up with the roosters and on our way to Todd Farm! We are on our way to Todd Farm and plan to be there and setting up by 6:00 AM. Look for us set up behind the barn with our white tent if the wind allows. If it is crowded, keep looking around – we will be there somewhere. We’ll be there until about 1:00 PM or later, weather and crowd permitting. See you at the show! Cheers! 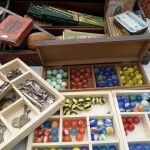 Well, it looks like we WILL be back at Todd Farm tomorrow Sunday (May 27) for another great sale of vintage buttons and sewing collectibles from my mother’s vast collection, as well as some cool new vintage finds we picked up over the winter. There will be a ton of new items freshly curated from the barn – including some really nice buckles and tons of new to the sale buttons and related notions. 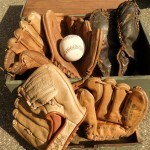 I also have some nice old tools, cameras, vintage children’s baseball gloves and a few surprises. As always, we will post early tomorrow morning (we need to be out by 4:00 AM to make the trip) to confirm our plans – something may come up or the weather could change, so stay tuned. If you are looking for something in particular you think we may have in our collection – send me a note and I will see if I can find something of interest to bring tomorrow: jim@lostcowboyfound.com. I have mixed feelings about Memorial Day Weekend. Not the holiday, that is something I honor, but the long weekend that kicks off the summer tourist season. Living in this beautiful part of the world (the mountains of New Hampshire) is a blessing. But the start of the summer brings the tourists. While it is nice to live in a place so many people want to visit because its natural beauty, it can be a pain for us locals. While the crowds come with the unofficial start of summer, so do the many great activities the area has to offer. In addition to all the things you can do to take advantage of the setting (hiking, climbing, kayaking, etc.) there are all the fairs, theaters, festivals, concerts and such that thrive during the all too short summer in New Hampshire. Anyway, I choose to embrace all the area has to offer even if it means putting up with some annoyances. Besides, I know all the ins and outs of how to avoid the worst hassles and enjoy everything. This weekend I plan to get up early on Saturday and head north. My strategy is to head north before the inevitable traffic heading into the area and work my way back south. I plan on hitting a few arts and crafts festivals, a few farmers’ markets, and every yard and barn sale I can find. With any luck I will be back in the safe confines of the old homestead with a car full of cool finds in plenty of time to enjoy something cooked on the grill. But Sunday is the big day as I plan to set up at Todd Farm for the first time this season, weather permitting. Todd Farm is the wonderful seasonal flea market and antique sale in Rowley, MA that takes place every Sunday in season and attracts hundreds of dealers and buyers from all over. I have been looking forward to selling at Todd Farm all winter and I have plenty of great things to offer. I will have more of the great buttons and sewing collectibles from my mother’s vast collection, as well as some cool new vintage finds I picked up over the winter. If you are in New England and within a hour or two of Rowley, MA, I highly recommend a visit to this great market. It is a nice daytrip. After visiting Todd Farm, you are a short drive from Newburyport and Cape Ann. So, we will be there in our white tent behind the barn from about 6AM – 1:00PM. The forecast looks fine right now, but check back here (or on our Facebook page) early Sunday morning for the definite “go/no-go” in case the weather changes. Todd Farm is pretty much open rain or shine, but I am a wimp, so yeah, I don’t like selling in the rain. In any case, I will report back on the day here, so you won’t miss a thing. Whatever you have planned for the Memorial Day weekend, I hope you enjoy it. However, I hope you do take a few minutes to honor the purpose of the holiday and reflect on those past and present who have made the ultimate sacrifice to defend our freedom. I love artichokes. However, I will admit that I am totally intimidated by them. I order them whenever I see them on a menu at a restaurant but steer clear of them at the market as I am scared that I won’t be able to cook them well. 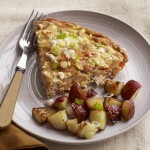 …this Artichoke Frittata recipe I found in a recent issue of Good Housekeeping magazine. OK, forget the artichokes, this recipe had me at feta! This may be the perfect recipe to try on a lazy Memorial Day morning. See the full Artichoke Frittata recipe on the Good Housekeeping website. I know I owe you an update on the status of my garden. I will get right on that, but I pretty much have been nurturing my various seedlings until it is time to transfer them to my containers. In the meantime, I have been getting excited about having a garden full of fresh herbs again. Although I mostly grow the basics – basil, rosemary, etc. – I am trying to diversify and start some more exotic herbs. My motivation is the wonderful work of Jekka McVicar, who is a noted herb expert in the UK. 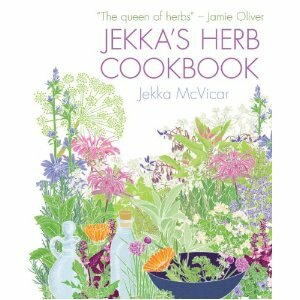 Ms. McVicar has a great cookbook, Jekka’s Herb Cookbook, which is enough to inspire anyone to try new herbs and make some wonderful dishes. Learn more about Ms. McVicar and her Herb Farm here. Jekka’s Herb Cookbook is available from Amazon and other book retailers. It’s been a while since I talked about a food product here on Lost Cowboy. I guess that is a result of my recent penchant for eating basic foods. But I do love my snacks. I love popcorn and nuts and more than anything, salt. So it only goes to reason that I have fallen in love with the Sea Salt Caramel Popcorn from Funky Chunky. The Sea Salt Caramel Popcorn from Funky Chunky is a nice indulgent snack, but it (along with Funky Chunky’s other great products) makes a great gift. 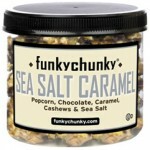 Find the Sea Salt Caramel Popcorn from Funky Chunky here. See all the great products of Funky Chunky here. Lost Cowboy is powered by	WordPress 5.0.4 and delivered to you in 1.982 seconds using 57 queries.